Every week you vacuum it, dry and wet mop it, even after all of that effort, walking on the hard surface floor still turns your white socks an ugly shade of gray. The grooves and pits that the manufacturers put in to make these floors look like real wood, can grab a hold of dirt and not want to let go. So as you mop the floor it just pushes the dirt around, resulting in a floor that does not seem to ever be completely clean. A professional cleaning will extract the embedded dirt leaving the floor soil free. If desired a light finish can be applied to fill in the surface scratches on a textured floor like these to make them easier to maintain,leaving the floor shiny and your socks clean! 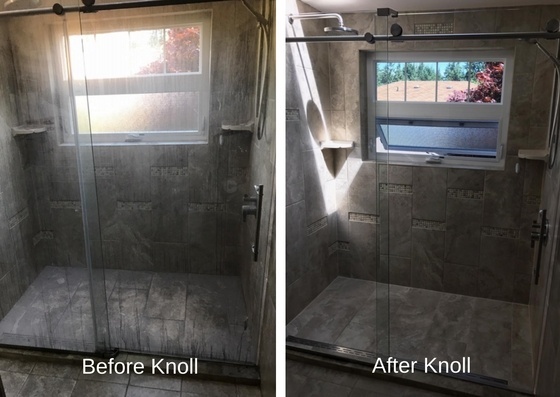 KABOOM, Scrubbing Bubbles and Shower (not so much) Power, promise on to make your shower look like new again, but they can not beat the soap scum, water deposits and mildew that ruin the appearance of your once beautiful shower. Why doesn't soap clean this off? Soap scum or mineral deposits left after showering will build up and become near impossible to remove with normal cleaning. The residue from soap scum and body oils provide a yummy food source for bacteria and mildew to grow leaving black or red discoloration behind. A safe and proper cleaning solution, hot water extraction will remove the pesky soap scum deposits, followed up with a good sealer, your shower will be much easier to maintain. Natural stone is often perceived as it should be as hard as a rock, but actually it's like a sponge. Our favorite beverages and food items such as tomatoes, coffee, pickles, orange juice- and sorry for you wine drinkers- but wine is a big contributor, all of these will etch natural stone leaving it to look dull and lightly scratched. Natural stone is extremely porous which causes the stone to absorb oils and unsanitary juices (such as meat) into the stone leaving stains in the counter. Knives and pans slid across a counter will cause scratches in the stone as well. 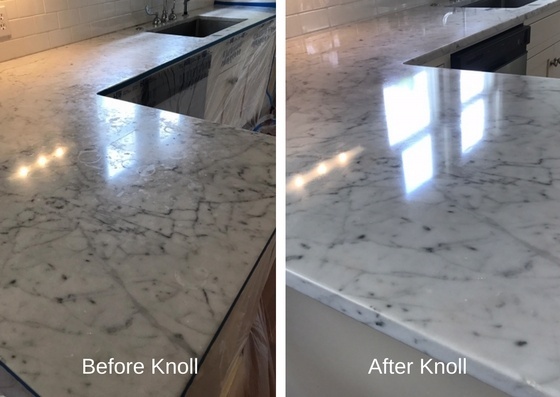 Cleaning and polishing of the stone can restore it to it's original (if not shinier) and healthy condition, followed by a sealer to aid in blocking out the food and drinks that cause harm. 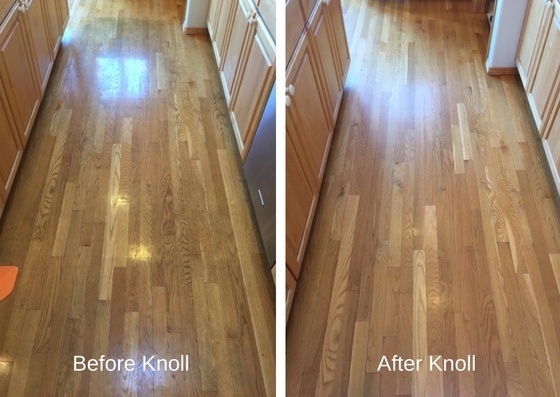 Now that you know the top three, when you are ready to restore your floor, shower or counters back to it's original condition, followed up with some great information to help maintain your investment in the end saving you money, it's good to know Knoll.